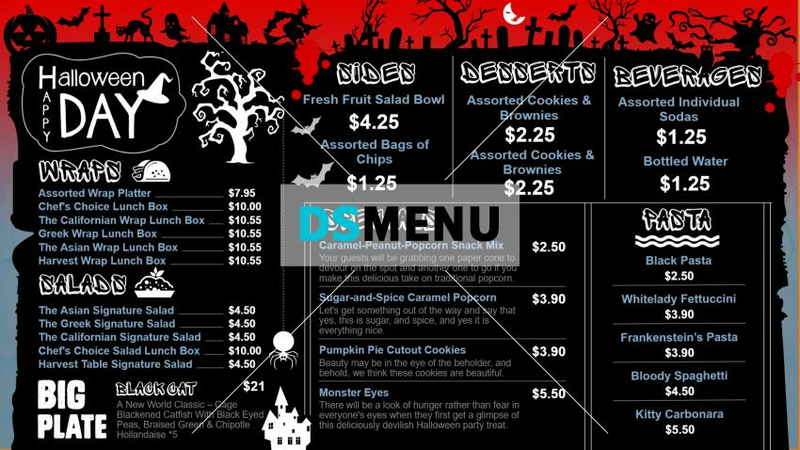 A great Halloween menu board. The black color background matches well with the white typeface and the red stip at the top delineates the Halloween mood appropriately. On a digital menu board this template is truly a steal ! The menu is delicious as well with wraps, salads, sides, desserts, beverages and pasta.